The Svalbard Treaty (originally the Spitsbergen Treaty) recognises the sovereignty of Norway over the Arctic archipelago of Svalbard, at the time called Spitsbergen. 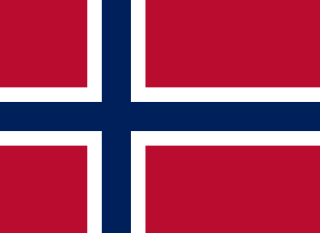 The exercise of sovereignty is, however, subject to certain stipulations, and not all Norwegian law applies. The treaty regulates the demilitarisation of the archipelago. The signatories were given equal rights to engage in commercial activities (mainly coal mining) on the islands. As of 2012[update], Norway and Russia are making use of this right. Uniquely, the archipelago is an entirely visa-free zone under the terms of the Svalbard Treaty. The treaty was signed on 9 February 1920 and submitted for registration in the League of Nations Treaty Series on 21 October 1920. There were 14 original High Contracting Parties: Denmark, France, Italy, Japan, the Netherlands, Norway, Sweden, the United Kingdom (including the dominions of Australia, Canada, New Zealand and South Africa, as well as India), and the United States. Of the original signatories, Japan was the last to ratify the treaty on 2 April 1925, and it came into force on 14 August 1925. Several additional nations acceded to the treaty after it was ratified by the original signatories. As of 2018[update], there are 46 parties to the treaty. 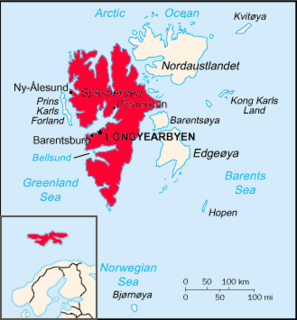 The original treaty is entitled the Treaty recognising the sovereignty of Norway over the Archipelago of Spitsbergen. It refers to the entire archipelago as "Spitsbergen", which had been the only name in common usage since 1596 (with minor variations in spelling). In 1925, five years after the conclusion of the treaty, the Norwegian authorities proceeded to officially rename the islands "Svalbard". This new name was a modern adaptation of the ancient toponym Svalbarði, attested in the Norse sagas as early as 1194. The exonym "Spitsbergen" subsequently came to be applied to the main island in the archipelago. Accordingly, in modern historiography the Treaty of Spitsbergen is commonly referred to anachronistically as the Svalbard Treaty to reflect the name change. The archipelago was discovered by the Dutch explorer Willem Barentsz in 1596 and named Spitsbergen, meaning "sharp-peaked mountains". It was uninhabited. The islands were renamed in the 1920s by Norway as Svalbard. Spitsbergen/Svalbard began as a territory free of a nation, with people from different countries participating in industries including fishing, whaling, mining, research and later, tourism. Not belonging to any nation left Svalbard largely free of regulations or laws, though there were conflicts over the area due to whaling rights and sovereignty disputes between England, the Netherlands and Denmark–Norway in the first half of the 17th century. By the 20th century mineral deposits were found on the main island and continual conflicts between miners and owners created a need for a government. Taxation: This allows taxes to be collected, but only enough to support Svalbard and the Svalbard government. This results in lower taxes than mainland Norway and the exclusion of any taxes on Svalbard supporting Norway directly. Also, Svalbard's revenues and expenses are separately budgeted from mainland Norway. Environmental conservation: Norway must respect and preserve the Svalbard environment. Non-discrimination: All citizens and all companies of every nation under the treaty are allowed to become residents and to have access to Svalbard including the right to fish, hunt or undertake any kind of maritime, industrial, mining or trade activity. The residents of Svalbard must follow Norwegian law, though Norwegian authority cannot discriminate against or favor any residents of any given nationality. Military restrictions: Article 9 prohibits naval bases and fortifications and also the use of Svalbard for war-like purposes. It is not, however, entirely demilitarized. "Mainly the dispute is about whether the Svalbard Treaty also is in effect outside the 12-nautical-mile territorial sea," according to Norway's largest newspaper, Aftenposten. If the treaty comes into effect outside the zone, then Norway will not be able to claim the full 78% of profits of oil- and gas harvesting, said Aftenposten in 2011. A list of parties (sorted alphabetically) is shown below; the dates below reflect when a nation deposited its instrument of ratification or accession. 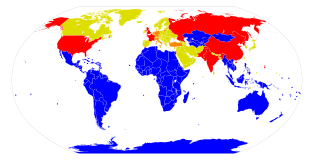 Some parties are successor states to the countries that joined the treaty, as noted below. Australia 29 December 1923 Extension by the United Kingdom. Canada 29 December 1923 Extension by the United Kingdom. China 1 July 1925 Acceded as the Republic of China. Both the People's Republic of China and the Republic of China claim to be the successor or continuing state, but as of 2018 all other parties to the treaty recognize only the People's Republic of China. Czech Republic 21 June 2006 Czechoslovakia acceded to the treaty on 9 July 1930. On 21 June 2006, the Czech Republic informed that it considered itself bound to the treaty since its independence on 1 January 1993, as a successor state. Denmark 24 January 1924 Extension to the entire Danish Realm. Germany 16 November 1925 Acceded as the Weimar Republic. On 21 October 1974, East Germany informed that it also reapplied the treaty since 7 August 1974. East Germany reunited with West Germany in 1990. India 29 December 1923 Extension by the United Kingdom. Ireland 29 December 1923 Ireland was part of the United Kingdom when the latter signed the treaty, but most of Ireland left the United Kingdom and formed the Irish Free State before the treaty was ratified. On 15 April 1976, Ireland informed that it also applied the treaty since its ratification by the United Kingdom. Netherlands 3 September 1920 Extension to the entire Kingdom of the Netherlands. New Zealand 29 December 1923 Extension by the United Kingdom. Russia 7 May 1935 Acceded as the Soviet Union. On 27 January 1992, Russia declared that it continued to apply the treaties concluded by the Soviet Union. Saudi Arabia 2 September 1925 Acceded as the Kingdom of Hejaz. Slovakia 21 February 2017 Czechoslovakia acceded to the treaty on 9 July 1930. On 21 February 2017, Slovakia informed that it considered itself bound to the treaty since its independence on 1 January 1993, as a successor state. South Africa 29 December 1923 Extension by the United Kingdom. United Kingdom 29 December 1923 Extension to Australia, Canada, India, New Zealand and South Africa. Ireland also applied the treaty since its ratification by the United Kingdom. Yugoslavia also acceded to the treaty on 6 July 1925, but as of 2018 none of its successor states have declared to continue application of the treaty. ^ a b c "Treaties and agreements of France" (in French). Ministry of Foreign Affairs of France (depositary country). Retrieved 19 February 2019. ^ Immigrants warmly welcomed, Al Jazeera, 4 July 2006. ^ On Dutch interest and historical claims see Muller, Hendrik, ‘Nederland's historische rechten op Spitsbergen’, Tijdschrift van het Koninklijk Nederlandsch Aardrijkskundig Genootschap 2e serie, deel 34 (1919) no. 1, 94–104. ^ "Norwegian place names in polar regions". Norwegian Polar Institute. ^ "History – Spitsbergen – Svalbard". spitsbergen-svalbard.com. ^ a b c d Alex G. Oude Elferink (1994). The Law of Maritime Boundary Delimitation: A Case Study of the Russian Federation. Martinus Nijhoff. pp. 230–231. ^ a b Willy Østreng (1986). "Norway in Northern Waters". In Clive Archer & David Scrivener (ed.). Northern Waters: Security and Resource Issues. Routledge. pp. 165–167. ^ "Treaty concerning the Archipelago of Spitsbergen, including Bear Island". Government of the Netherlands. Retrieved 19 February 2019. Moe, Arild; Schei, Peter Johan (18 November 2005). "The High North – Challenges and Potentials" (PDF). Prepared for French-Norwegian Seminar at IFRI, Paris, 24 November 2005. Fridtjof Nansen Institute (www.fni.no). Archived from the original (PDF) on 7 December 2008. Retrieved 11 August 2008. Treaty between Norway, The United States of America, Denmark, France, Italy, Japan, the Netherlands, Great Britain and Ireland and the British overseas Dominions and Sweden concerning Spitsbergen signed in Paris 9th February 1920. Svalbard – an important arena – Speech by Norwegian Minister of Foreign Affairs, 15 April 2006. The United Nations Convention on the Law of the Sea (UNCLOS), also called the Law of the Sea Convention or the Law of the Sea treaty, is the international agreement that resulted from the third United Nations Conference on the Law of the Sea, which took place between 1973 and 1982. The Law of the Sea Convention defines the rights and responsibilities of nations with respect to their use of the world's oceans, establishing guidelines for businesses, the environment, and the management of marine natural resources. The Convention, concluded in 1982, replaced four 1958 treaties. UNCLOS came into force in 1994, a year after Guyana became the 60th nation to ratify the treaty. As of June 2016, 167 countries and the European Union have joined in the Convention. It is uncertain as to what extent the Convention codifies customary international law. Bear Island is the southernmost island of the Norwegian Svalbard archipelago. The island is located in the western part of the Barents Sea, approximately halfway between Spitsbergen and the North Cape. The terms international waters or trans-boundary waters apply where any of the following types of bodies of water transcend international boundaries: oceans, large marine ecosystems, enclosed or semi-enclosed regional seas and estuaries, rivers, lakes, groundwater systems (aquifers), and wetlands. The Republic of Cyprus (Cyprus) and Turkey have been engaged in a dispute over the extent of their exclusive economic zones, ostensibly sparked by oil and gas exploration in the area. Turkey and the Northern Cyprus object to Cypriot drilling in waters that Cyprus has asserted a claim to under international maritime law. The present maritime zones dispute touches on the perennial Cyprus and Aegean disputes; Turkey is the only member state of the United Nations that does not recognise Cyprus, and is not a signatory to the United Nations Convention on the Law of the Sea, which Cyprus has signed and ratified.